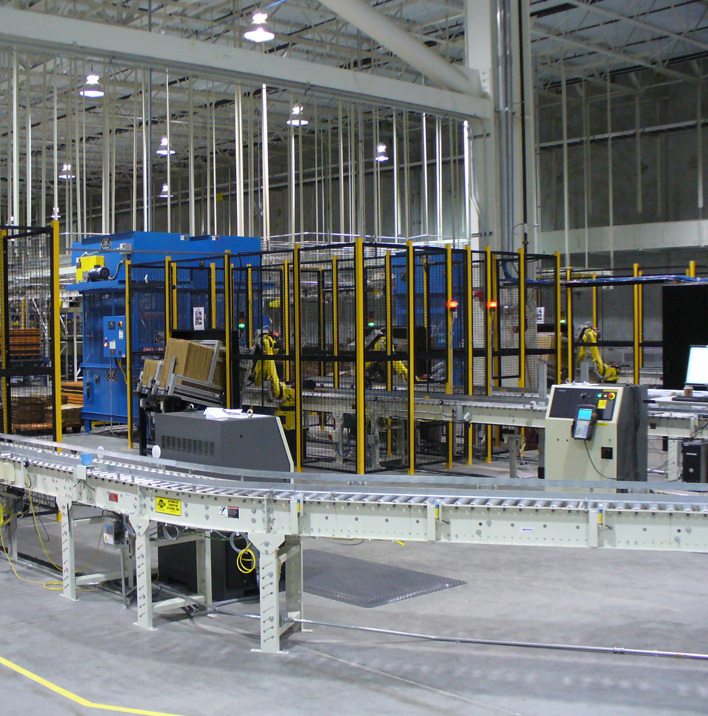 SIA has a strong track record devising material handling solutions for our manufacturing customers. As a premier systems integrator, SIA identifies innovative concepts that help enhance your bottom line. This is achieved through increased capacity, reduced operating costs, better inventory management, improved order accuracy, increased labor efficiencies and enhanced integration with enterprise information flow. SIA has a wealth of experience in assisting our customers with their warehousing and distribution needs. In order to ensure we can provide you with a solution which will fulfill your current requirement as well as strategically position you for future growth, we will conduct a thorough evaluation of your current operation and facilities. We will analyze and create profiles of your existing and forecasted product inventories, space and adjacency requirements, order mix distribution, and product movements, all while taking into account seasonal or other deviations which can affect performance targets. SIA will use this information to develop and designs innovative, efficient, and cost-effective solutions for your internal material handling and storage needs. Our objective is to introduce and seamlessly integrate equipment and operational methods that result in the highest degree of accuracy, velocity and productivity. Everything we do is geared toward improving operational flow and enhancing procedures that will control costs while enabling you to significantly improve your customer service. SIA’s work in the parcel handling arena has reaped many benefits for our customers. By focusing on the critical needs of the overnight delivery industry, we produce innovative solutions that improve the core functions of parcel handling, including movement, sortation, weighing and tracking. By utilizing equipment and methods that specifically address the unique demands of the parcel handling industry, we help our customers improve accuracy and performance, enhance ergonomics and increase throughput, all of which positively impact their profitability. ©2015 Solutions In Action, Inc.
SIA has a wealth of experience in assisting our customers with their warehousing and distribution needs. In order to ensure we can provide you with a solution which will fulfill your current requirement as well as strategically position you for future growth, we will conduct a thorough evaluation of your current operation and facilities. We will analyze and create profiles of your existing and forecasted product inventories, space and adjacency requirements, order mix distribution, and product movements, all while taking into account seasonal or other deviations which can affect performance targets. SIA will use this information to develop and design innovative, efficient, and cost-effective solutions for your internal material handling and storage needs. Our objective is to introduce and seamlessly integrate equipment and operational methods that result in the highest degree of accuracy, velocity and productivity. Everything we do is geared toward improving operational flow and enhancing procedures that will control costs while enabling you to significantly improve your customer service.